The term “Butterfly Effect,” refers to the idea that a butterfly’s wings might create tiny changes in the atmosphere that may ultimately alter the path of a tornado or delay, accelerate or even prevent the occurrence of a tornado in a certain location. The flapping wing represents a small change in the initial condition of the system, which causes a chain of events leading to large-scale alterations of events. Had the butterfly not flapped its wings, the trajectory of the system might have been vastly different. While the butterfly does not “cause” the tornado in the sense of providing the energy for the tornado, it does “cause” it in the sense that the flap of its wings is an essential part of the initial conditions resulting in a tornado, and without that flap that particular tornado would not have existed. The Butterfly Effect of today is much stronger than when the theory was proposed. Today the butterfly effect is amplified countless as images and sounds that are picked up by video cameras and microphones and sent out to the entire world via television and the Internet. 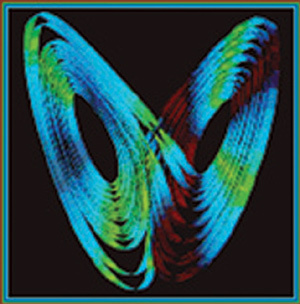 It is on the wings of Glen Beck, Sarah Palin, Rush Limbaugh, and others, that the Butterfly Effect rides on electronic the ripples that cause people like the killer of Gabrielle Giffords to pull the trigger, the disenchanted to send letter bombs to Janet Napolitano, and the letters of anthrax to arrive in Washington. On Fox News, the people who watch Glenn Beck are constantly blasted with his opinion of politics, religion, and on OReilly, the tv viewers are encouraged to buy his pinheads n patriots book. OReilly makes $10million a year, and Beck made $32million bucks! Are they the judas goats, leading the dumb sheep? The Butterfly Effect seems to be working just from these 2 guys who earn millions, by giving their OPINIONS on everything! So, I say, let the dumb sheep listen and ‘fly’.